I recently wrote an article for Mommy Nearest about the best playgrounds to take your littles too! We live in Watertown, so I included some in the city but also in the Greater Boston area as well :) Enjoy! The playground is the perfect place to let your child burn off some energy, explore, meet up for play dates and get some fresh air. 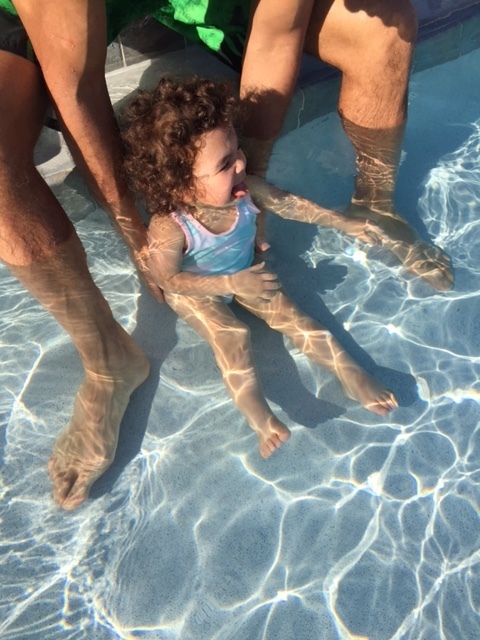 As a new mom, I was so excited when my daughter learned to sit up so she could finally enjoy the bucket swings. And once she started walking I couldn’t wait to watch her toddle around and play on the equipment. I quickly realized that those once relaxing trips to the playground were becoming stressful. I turned into my daughters shadow, trying desperately to keep her away from the dangerous climbing structures and giant slides! Thankfully, I've been able to find the spaces meant just for little ones who are learning to walk. Think soft surfaces, bucket swings, small slides, tunnels to crawl through and lots more. Here are eight of the city's best playgrounds perfect for your toddler! Why it’s good for toddlers: I’ve nicknamed this one “natures playground” thanks to the design landscape of hills, sand, wooden structures and water features. There’s something for everyone here, including a water table which is always a crowd favorite. Little ones can't get enough of the sand (there’s A LOT of it) and the adults will enjoy that the playground is mostly shaded. It’s the perfect place to let your kids explore their surroundings safely. Insider tip: There isn’t a parking lot, just metered street parking so make sure to bring some quarters! Why it’s good for toddlers: I absolutely love this playground for its soft rubber surface, tunnels to crawl through, and the mini playhouses where little ones can sit and eat their snacks. There are also bucket swings and small slides for even the smallest babes. Not to mention, it’s all fenced in! If you go on a hot day, half of the playground is shaded by trees, which is nice. Insider tip: Although this is about 15 minutes outside of the city, it's worth the drive. Make a morning of it by hitting the Starbucks just down the road or grabbing breakfast at North 11 Beacon—our favorite diner! Why it’s good for toddlers: This park is fully fenced in and offers a large play area for kids, plus a splash pad. There is grass for your little ones to explore and “no dogs allowed” so you won’t have to worry about any unpleasant surprises (if you know what I mean!). There's lots of shade to be found, provided by the surrounding maples, and plenty of benches to catch a break if needed while still keeping a watchful eye on your little one(s). Insider tip: Pack a picnic or enjoy a snack near the beautiful rose gardens at this park. Why it’s good for toddlers: The main attraction of this playground is the park fountain, which cascades water from top to bottom for one hour, three times a day (9-10am, noon-1pm and 6-7pm). Another “perk” of this playground are the walkers and “ride-on” toys that local families have dropped off for other kids to enjoy. Your little one will enjoy pushing or riding them around the fenced in rubber surface and/or the basketball courts next door. Insider tip: There are always events going on at this park, so check the website for more info! Just recently they hosted a “garden tour” and a musical event for kids. Why it’s good for toddlers: This playground has been recently renovated and now includes a splash pad and sand box area. A wooden toy train structure will be a favorite with your little one, and they’ll love watching the older kids climb up the rock wall! I love that the “tot lot” is separated and on a lower level than the “big kids” area; it lessens the chance of any accidental run-ins. Insider tip: There are picnic tables on site so pack a meal and enjoy a whole morning or afternoon outdoors. Why it’s good for toddlers: Let your little ones play while you take in the incredible views and the epic Boston skyline! The playground has the basic equipment (swings, slides, climbing structures, etc. ), but the real win is the four acres of green space for kids to run through. It’s such a hidden gem! Insider tip: The park offers “Family Zumba” every Wednesday at 6pm during the summer months. Why it’s good for toddlers: Located right off Storrow Drive, this playground is large and fenced in which makes it an extra safe place for your little one. The soft rubber surface helps, too! There are two short slides and six infant bucket swings, so it’s likely your kiddo will never have to wait on one. On hot summer days, you’ll be happy to hear there is a splash pad as well. Insider tip: Parking can be a bit tough due to the location of the playground, so plan ahead time wise (the walk is worth it!). Why it’s good for toddlers: Most playgrounds cater to certain age groups but neglect others—not Peter’s Park! Not only is it great for toddlers with the infant swings and low-to-the-ground structures, but if you’re a parent of multiples, there are larger structures for kids’ ages 5-12 here too. The rubber surface will limit the inevitable bumps and scrapes that come when you’ve got a curious toddler in tow. Insider tip: Limited shade on hot sunny days so bring sunscreen! Also got a puppy? There’s a dog park right next door! Designate a separate bag for your kiddo. When Lo was born I thought I would just pack her things in my suitcase with my own stuff but I quickly realized that wouldn't work. 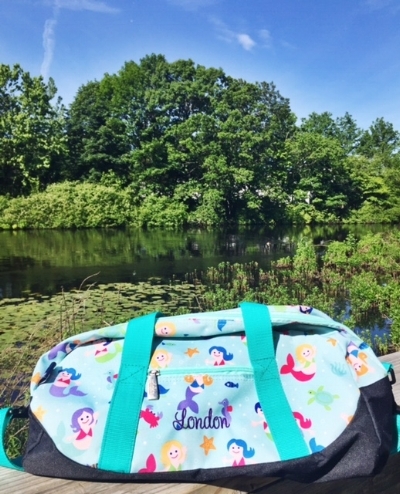 I needed to have a bag specifically for Lo, and thankfully I found Wildkin, which has the most perfect travel duffles and matching backpacks by Olive Kids! They're the perfect size for an overnight trip or weekend away - and the best part, they won't break your bank! (You can snag a matching duffle + backpack for just $60!) They even monogram and personalize them for your kiddos! The print we chose is a mermaid print because she's so obsessed with The Little Mermaid! 5. London's "blankie" ... she sleeps with it every night! 6. Other Necessities: children's Ibuprofen/Tylenol (just in case), baby thermometer, body wash/lotion, diaper cream, regular diapers, wipes, toothpaste and toothbrush. 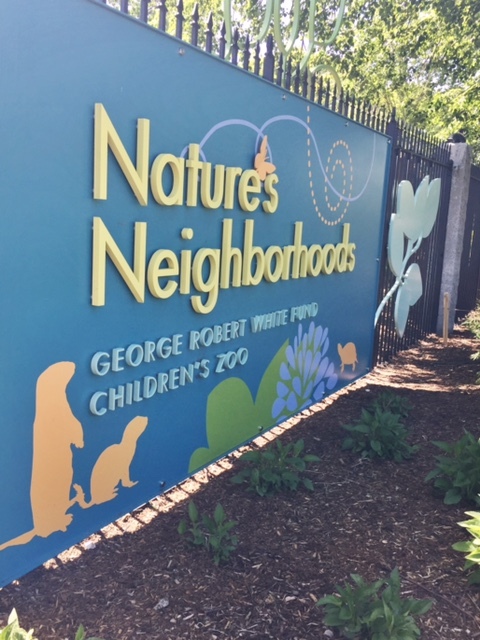 My suggestion would be to park at the Zebra Entrance of the zoo for direct access to "Nature's Neighborhood," the newly renovated Children's Zoo! Lo is almost two years old (as opposed to 14-months during our last visit) so she was much more engaged and interactive! We had anticipated that "Nature's Neighborhood" would be a crowd pleaser, and we were right! We spent about three hours total at the zoo and I think she could have stayed right there the entire time. 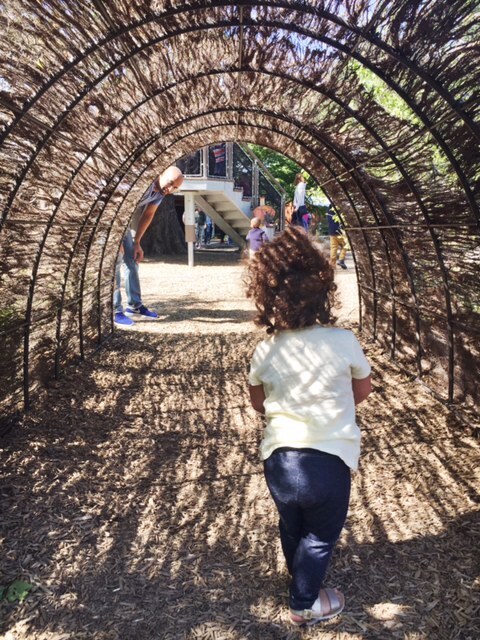 It is designed beautifully, allowing children to explore and discover the different ecosystems or "neighborhoods," including Grasslands, Woodlands, Wetlands, and Thicket. 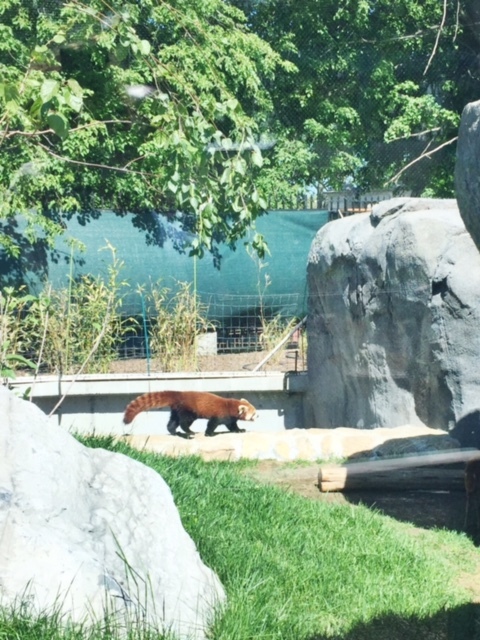 We saw some "neighbors" roaming around their natural habitats like red pandas, muntjacs, prairie dogs, ducks, cranes, and other birds! There's a giant eagle's nest built around an oak tree providing a "birds eye" view of the zoo and kids can also take the winding slide all the way down from inside the nest (London loved it!). There is a grass maze, bamboo climber, two turtle ponds, and caves to explore or sneak a closer look at the prairie dogs as they pop up out of their holes. London also enjoyed "hopping like a bunny" through the thicket and climbing on the rock structures near the oak tree. I love how interactive Nature's Neighborhood is! It's definitely a place that kids of all ages (and adults!) can have fun while learning about some of the cutest animals at the zoo! 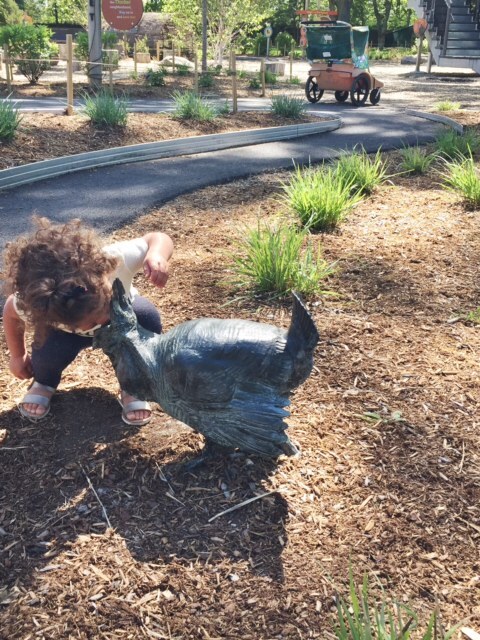 Franklin Farm is located adjacent to Nature's Neighborhood and that seems to be another crowd favorite for the little ones. There are donkeys, chickens, pigs, goats, and minature horses - all sure to make your kiddos squeal with delight! Kalahari Kingdom features the lions, in all their glory! Lo has a thing with beards (since her Daddy has one) so she thought the lion had a pretty cool "beard," a.k.a mane! Gorillas, hippos, lemurs, and anteaters are just a few of the animals you'll see in the Tropical Forest exhibit...another one of London's favorites! There are five glass viewing stations just to see the gorillas! You'll see dozens of birds swooping through and hear the swooshing sound of the waterfall as you make your way through the beautiful rainforest. (Don't forget to stop for a photo with the gorilla statue located outside!) If you can make it past the 10,000 square foot playground, you'll run into the Giraffe Savannah to sneak a peek at the giraffes and zebras roaming about. 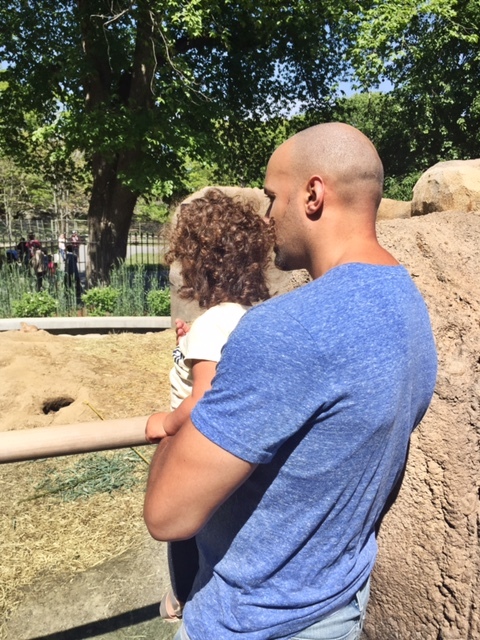 Each time we visit the zoo, we discover something new and get to watch Lo discover new things as well. It's the perfect place to let your children explore let their imaginations run wild! We had such an amazing time and can't wait to go back! Last weekend, our little family decided to book a "stay-cation" in downtown Boston and stayed at The Colonnade Hotel. Even though we were there for less than 24-hours we had SUCH an amazing time and didn't want to leave! 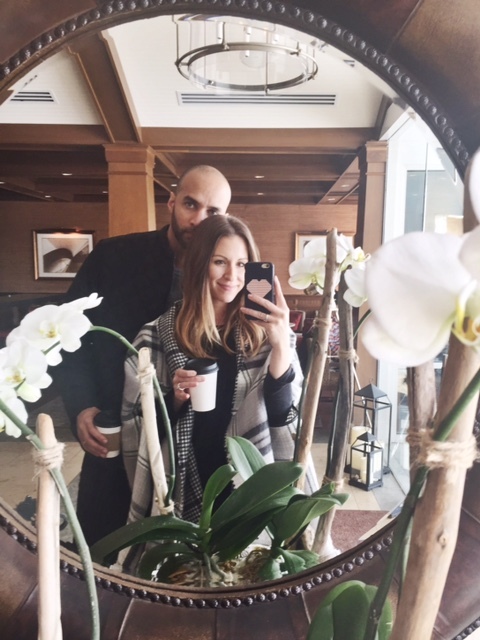 I wanted to give you guys a little recap of our stay and a review of the hotel! I'll just start by saying how friendly and hospitable everyone was! They gave us such a warm welcome and made us feel right at home. London had a great time running around the lobby, making friends with hotel staff! They really went above and beyond to make our stay perfect! The Colonnade is located in the Back Bay neighborhood of Boston, walking distance to many of the city's signature landmarks such as the Prudential Center (across the street), the Public Garden, Newbury Street, Fenway Park, and much more! We used to live in Bay Village, a small neighborhood nestled between Back Bay and the South End ... so this area is very familiar to us. Boston is such a walkable city so it's super fun to stroll around taking in all that it has to offer! Three words...Roof Top Pool. The Colonnade is the only hotel in the city with an outdoor Roof Top Pool and it's pretty glorious. Two years ago, 9 months pregnant with London, my husband and I spent a day there poolside and it was amazing. It doesn't feel like you're in the middle of a bustling city when you're twelve stories up on a roof top! I definitely want to bring Lo there when it opens at the end of this month - she'd love it! There are private cabanas, daybeds and full-menu food service offered poolside all day long as well! 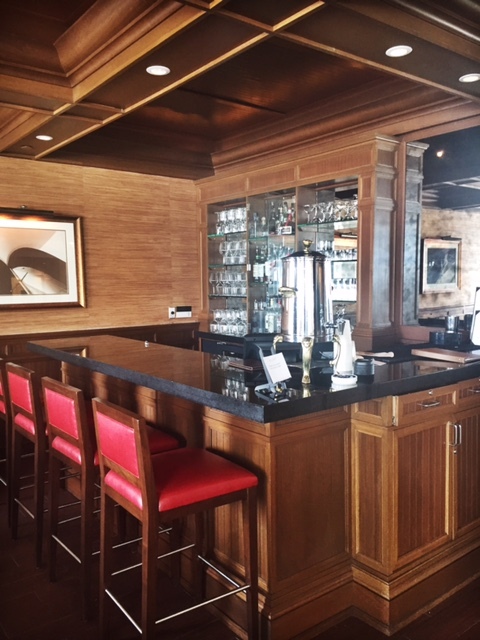 The fitness center, 24-hour business center, and French restaurant Brasserie Jo are three more reasons why this hotel is perfect for your city stay! Speaking of food, Brasserie Jo is the restaurant located right inside the hotel. The menu is expansive so there's plenty to choose from and lots that even your kids would enjoy! They're very kid-friendly with highchairs, crayons for coloring and cute kids cups! We were there for Mother's Day - so they had a special buffet with food stations, a live jazz band, and "mums for Mum!" Very cute! They also brought Chris and I rose water hibiscus mimosas...and I just about died - SO YUMMY! We also loved how friendly everyone was, from the hostess to the waitstaff and even the head chef, who came to speak to us at our table. 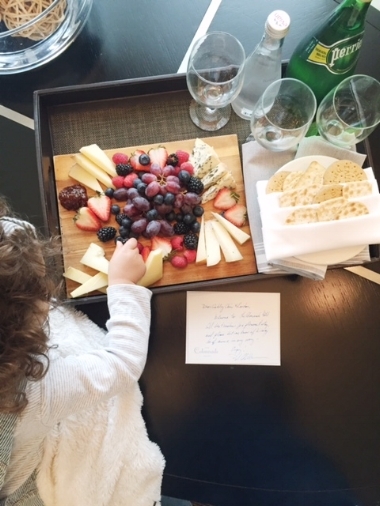 They really go above and beyond to make your stay as a whole, memorable! If you're coming to Boston from near (like us!) or far, The Colonnade is the perfect place to stay while you explore everything that the city has to offer! We thoroughly enjoyed our quickie getaway, and hope to return soon so we can enjoy the pool! Highly recommend paying a visit! Here are more photos from our overnight stay and you can shop my outfits below as well! 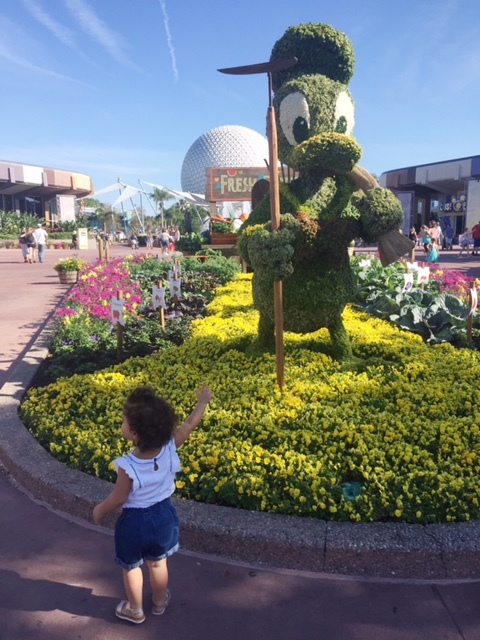 Our trip to Disney last week was absolutely magical! We used to go all the time as a family when I was little, but I hadn't been back in 14 years! 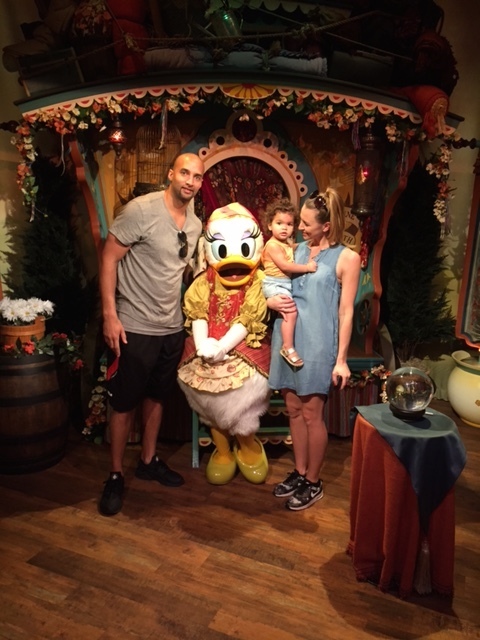 I was so excited to share this experience with my husband and daughter; it was just as special as I knew it would be! 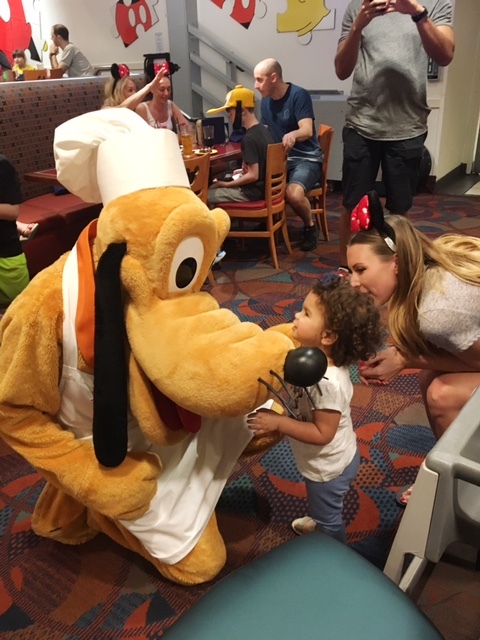 Watching her face in utter amazement, literally the entire time, is something I will never forget and just gave me all of the feelings I remember having as a kid! There's something about Disney that makes everyone feel giddy and filled with so much joy. Walking up and down Main Street, watching the street performers and listening to the music was super nostalgic. I made sure that we visited my favorite ice cream shop, which I have fond memories of ;) There were performances at the castle featuring Mickey & friends as well as the Frozen characters (London was freaking out!) Fantasyland, Frontierland, and Adventureland all had something that London could enjoy! I wanted to share all of the photos from the trip! We tried to capture each aspect ... of course, I feel like I didn't take enough (but my husband would argue otherwise, I'm sure :) I hope you enjoy them! This post is brought to you by Disney. As always, all thoughts and opinions are my own. We are leaving TODAY for a little family vacation to Florida! We are so excited to take London to Disney World for the first time and the best part is, we'll be traveling with my hubby (of course), my parents, sister and her family as well! I can't wait for us all to board the plane together and start our little getaway! I always feel like I need to pack a million things in London's carry-on (we use this Skip Hop bag) and often forget any of my own essentials! Typical mom life, right?! This time, I made sure to pack my backpack with some of the things I need to make my own life easier. I also try to pack a few items in case we should end up delayed or worse, stranded with no luggage (since that's happened to us all probably at least once!). I've included some travel sized "must haves" as well as some full size clothing items that you could sneak into your carry-on as well! Shop my "carry on essentials" below! I also picked up a few new things for this trip, like this $23 "vacay" tote and this polka dot one-piece that's under $40! 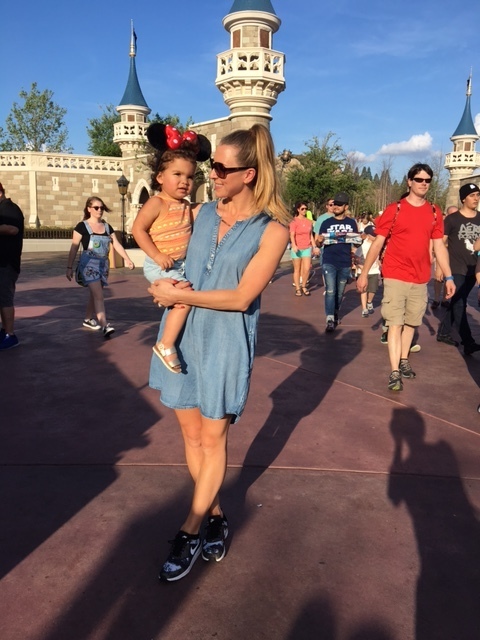 In case you missed my blog containing tips for traveling with a toddler, you can find that here! When I'm traveling, I like to pack a few pairs of sunglasses; black pair, brown pair, and/or my aviators. I've rounded up a few of my faves for you below and as always, my go-to Ray-Bans that fold up are making the trip - I never leave home without them! My sweet husband planned a little surprise getaway to Maine for my birthday last month and in true New England fashion, we had a blizzard that changed our plans. Thankfully, he was able to reschedule our stay at the Inn By The Sea in beautiful Cape Elizabeth. I had never stayed there before this weekend but had heard such amazing things about it. For my fellow Bostonians, it's only about 1.5 hours from the city, so it's the perfect little escape, even just for the night! Everything is done to perfection and there's great attention to detail. 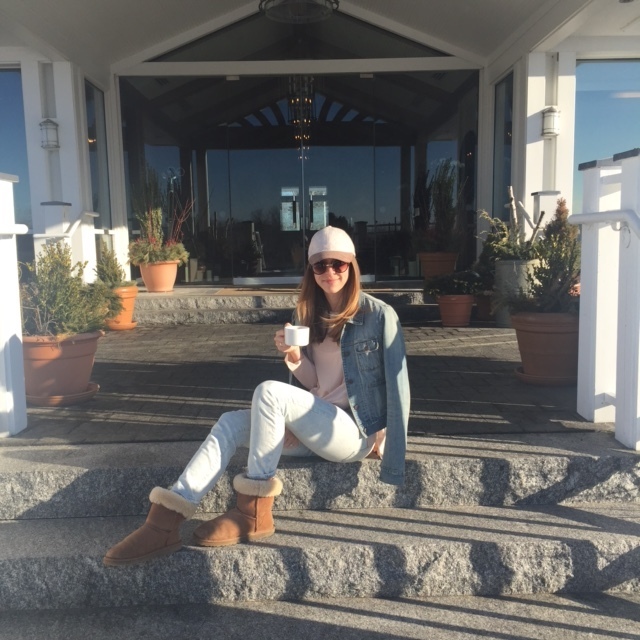 They offered us warm apple cider when we arrived and set up spa services for us as well as dinner reservations at their on-site restaurant, Sea Glass. The rooms were so spacious and lovely, as well. We had a beautiful fireplace with a view of the ocean. 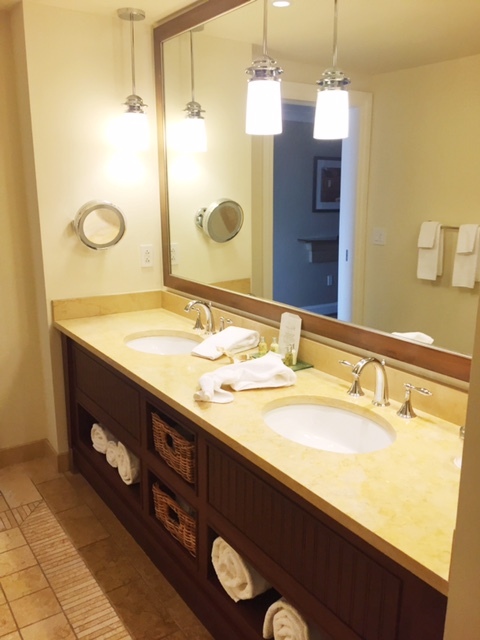 The shower was a beautiful walk-in with a dual vanity and complete with L'occitane bath products...LOVE! Chris booked a massage for me at the spa and it was AMAZING. 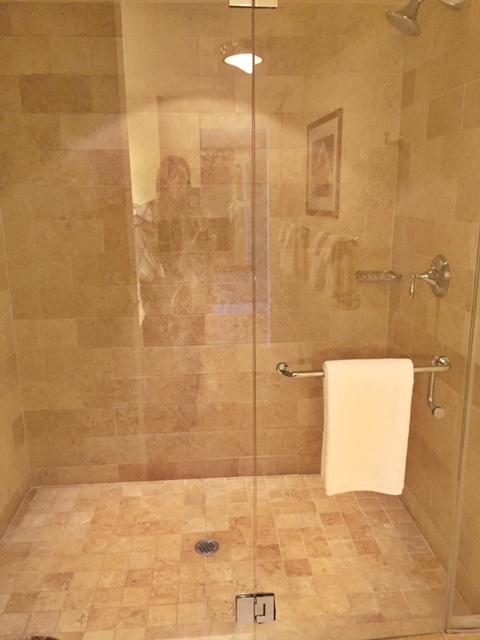 The steam room and shower were available to use before or after my treatment, and let's just say, I never wanted to leave. The shower had 8 shower heads and you can adjust the temperature via touch screen. It took me a little while to figure out (I was dodging water from every direction, haha!) ...but once I did, it was amazing! Dinner was so yummy and the company was even better; it was so nice to spend some alone time together! We are usually rushing to eat or not even eating at all because we are so concerned with London - so it was nice to take our time and relax! (Although, all we could talk about was Lolo ;) We enjoyed breakfast there the next morning and felt refreshed even after just one evening away. There's something about being on the ocean (and in Maine) that instantly centers me. We love going home, and while we don't get to do it too often together anymore, it's so special when we can. Here are some photos from our little getaway! Airplane or no airplane, traveling in general is very stressful. It feels like you literally have to pack your entire house up even for just one overnight and if you're going away for multiple nights, forget it, you should probably pack your life away! Sometimes it seems easier to just stay home. I know for me personally, I am always happy to have a change of scenery though, and yes, while it is stressful - I'm super excited once we reach our final destination! London and I are very used to road trips. We have been road warriors since she was just two weeks old when her Daddy would go on work trips and we'd head three hours north to Maine. Flying, however, we've done much less of. Lo has been on five flights in her short lifetime, but all have been actually quite smooth and (dare I say) FUN! 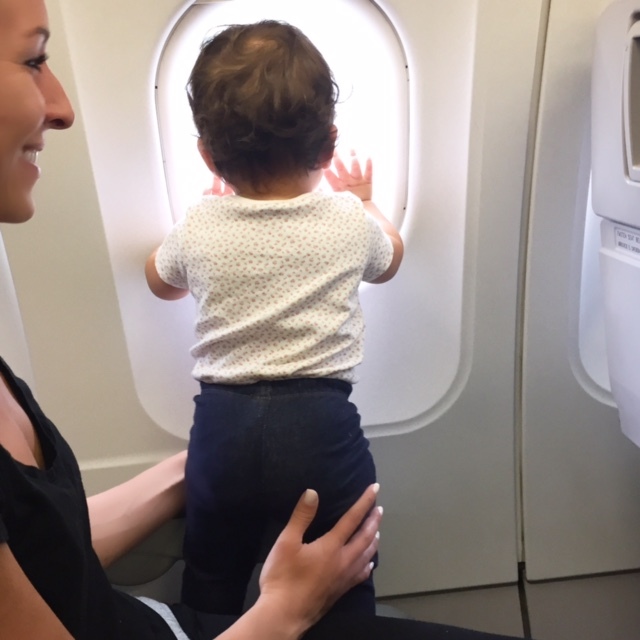 I am definitely a "plan ahead," type-A mom, so I did my research before her first flight + since it was a success, have followed the same sort of "protocol" in preparation for each trip. 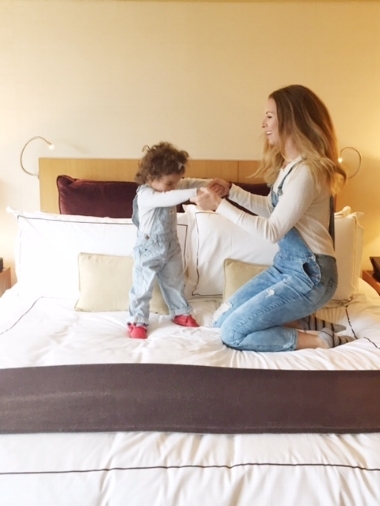 Here are a few of my top tips for flying with a toddler. If have a young baby, I shared a few helpful hints on that last year, here. 1. Book non-stop. Even if you have to pay a little extra ... it's a small price to keep your sanity! Once you're on the plane and settled in with all of the 'ish' that you brought, the last thing you want to do is MOVE. Trust me on this one, if you can swing it, it's worth it! 2. Make sure one of your seats is an aisle seat. This is super important. If you're flying solo, just go ahead and book the aisle seat because you definitely don't want to feel trapped by the window or like you can't get up and down as needed! I walked the aisles for basically the entire three hour flight to Florida last year and while it was exhausting, London was happy and most importantly, quiet! 3. Plan your flight during nap time. We do this as best we can and when we have flown during London's nap, it has worked out well for us. As soon as the "fasten seatbelt light" goes off I walk the aisle with her and rock her to sleep. Just recently, she slept the entire two hours from Charleston. Also, I think the hum of the plane's engine kept her asleep longer! Score! 5. Download your kids favorite show and/or movie. My rule for traveling is: THERE ARE NO RULES. Whatever keeps them happy or satisfied (as long as it isn't harmful) is basically fair game. The iPad was my best friend on our flight from Boston! 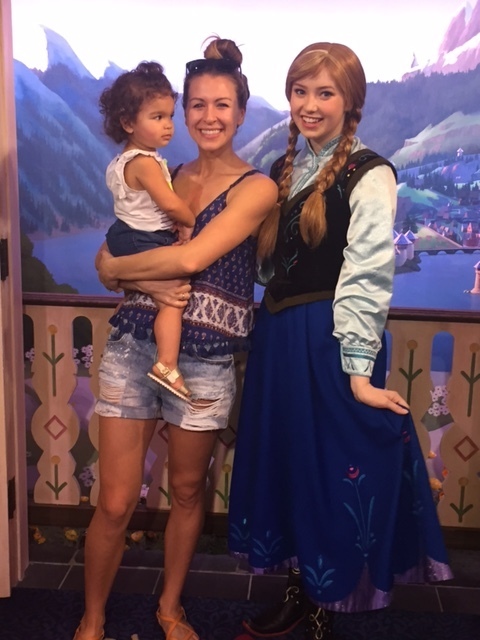 It ended up taking longer than expected, so the fact that we had Frozen and Mickey Mouse ready to go really kept Lolo happy and me, sane! If you need children's headphones, Amazon sells some really cute ones for kiddos! 6. Buy a small new toy or book for the trip. I recommend waiting to show them their "surprise" until you're on the plane. We bought Lo a Frozen microphone that plays the songs from the movie, and she loved it! It was perfect because it was small and easy to pack. Any book with flaps is a good idea and if you can find one with a lot of pages, even better! Karen Katz books are always a hit; we love this one and my mom bought this one along on our latest trip. 7. Have a sippy cup or chewy snack ready for take-off/landing. I was really worried about the altitude and how it would effect London's ears, but she seemed fine. I gave her raisins, which I figured is the next best thing to gum and she went to town ;) I also had her sippy cup filled with apple juice, which is a treat for her. 8. Bring a stroller for the airport and check it at the gate. I don't think we could have survived without our stroller; this is really a must! 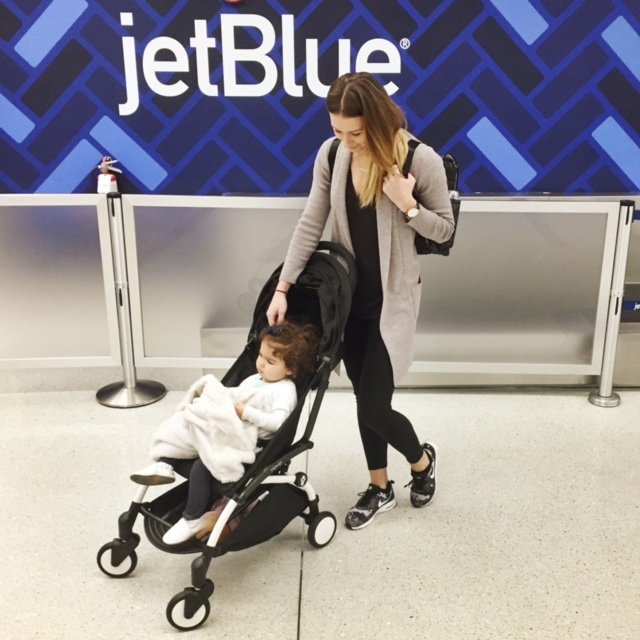 We love our Graco Fold Jogger because it has a big compartment underneath to hold all of our stuff - but if you're looking for a smaller one that may be better suited for travel, I've heard great things about the Quinny Moodd stroller and the BABYZEN YOYO+ stroller as well! The BABYZEN YOYO+ is just 13 pounds, easy to fold up and carry with ONE hand. We are traveling to Disney World in a few weeks, and I think we're going to bring this one along! Southern hospitality and LOADS of charm...the sweet city of Charleston completely stole my heart last weekend. London, my mother, and I were able to join my husband on his work trip last weekend and we immediately fell in LOVE. I can't believe it has taken me 32 years to visit such a magical place! We walked up and down the streets just taking in the amazing architecture, beautifully colored buildings, and the sunshine. I had researched a bunch of spots we needed to hit for some of the best food and of course, photo ops (because, blogger life!) :) We only had three days, but I definitely plan on returning for a longer visit very soon! I wanted to highlight a few places that we loved and also share photos from our amazing trip! On our first morning, we made a stop at Glazed Gourmet Doughnuts for some yummy treats and FANTASTIC coffee! Their donuts are made from scratch every day and there are a wide variety of flavors. We tried the lemon old fashioned, glazed, and a sugar-raised (which was our favorite!) Highly recommend making a little pit stop here! Walking along King Street you'll find some amazing stores which are a mixture of boutiques and some staples like H&M, Gap, J.Crew, etc. You could easily spend a whole day on King shopping and sampling foods :) One place I knew I wanted to visit was Candlefish which sells an array of candles and features a beautiful "candle library" with over 100 fragrances. My sister and brother-in-law discovered it while on their honeymoon last Fall and I had to see it in person. (They also sell a "London" candle, so I needed to snag one of those!) The decor in this store is so gorgeous, and they offer candle-making classes which were taking place while we were looking around. When I was researching a great dinner spot for our first night in Charleston, there were a few that always made the top of most lists; Husk, Fig, Magnolia's, and McGrady's (to name just a few), but Butcher & Bee really stood out to me. Not only is it considered one of the hottest restaurants right now, but I knew the casual atmosphere and style would be perfect for London as well! I must say, I was SO pleased with my choice. Not only was the food delicious, fresh, and presented beautifully - they were very accommodating to children. They had a box full of toys that London could play with and crayons for coloring. A few of the dishes I recommend trying are the house made hummus and/or whipped feta and honey both served with pita bread. The crispy stuffed olives and lamb ribs were also two of my favorites! If you're looking for more sweet southern treats, head to the Sugar Bakeshop, a little off the beaten path but worth the stop. The cupcakes are so delicious and there's an adorable garden in the back; perfect place to enjoy your dessert and snap some photos :) I recommend the lemon curd and almond chocolate coconut cupcakes! Basically, as it seems, we ate our way through Charleston! We were on our very own food tour - and it was a blast! Aside from the eating, there's so much to explore. There are horse-drawn carriage rides and walking tours offered that I definitely want to do when we return. The history of the city is amazing and I know if we participated in either of those, it would be really cool and informative. I also wish we had time to tour the Boone Hall Plantation. I heard it's pretty fascinating and definitely a place to keep in mind if we visit in the future. 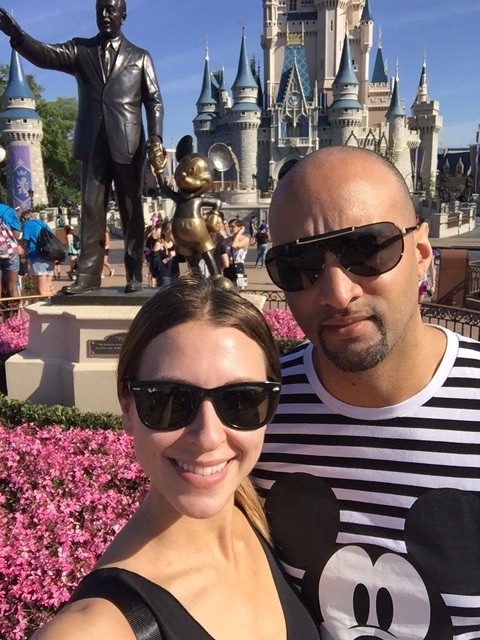 Below are more photos from our quick little getaway! You can scroll through as I tried to capture a little bit of the Charleston charm! This week I'll be sharing a few travel-related posts with you all, since we are heading to Charleston, SC! I'm SO excited and I've been researching places to go like a crazy woman! My husband's basketball team will be playing in their conference tournament there so since he'll be busy, we are flying my mom down to be with us! It will be our first time to Charleston and I'm so excited to explore such an incredibly historic and beautiful place! I've started packing a bit (since it takes me forever to sort through what I need to bring) ... and the first order of business is planning a travel outfit! I always like to be comfy, but still fashionable. I've put together a few outfit ideas for you to check out below, and you can shop each outfit through the links below the graphic! Enjoy! Maybe it's the three snowstorms we had last week that's making me crave the warm weather ... or the fact that next week we leave for Charleston ... but I just can't WAIT for sunshine! It's so close I can almost taste it! If you're like me and are looking forward to higher temps, here is a round up of some beach weather essentials for you! A few of my favorite getaway essentials include this "Summer Daze" straw tote, this airy cover-up (for under $50! ), and these platform wedges! You can shop my other favorites by clicking the numbered links below the graphic! I'll be telling you all where we are traveling at the end of March soon on my Instagram, so stay tuned and follow along here! I thought I'd share this AMAZING and fun deal with you all - if you'd like to plan a winter staycation! 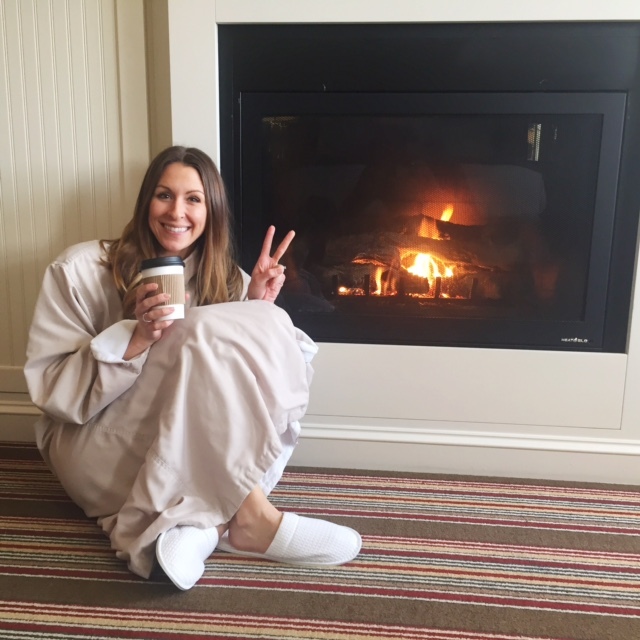 The Colonnade is one of my favorite Boston hotels and they're embracing this New England weather. With the Frosty Friday package, you'll pay the outside temperature reading from the 5:00pm National Weather Service for the first night of your stay and the 2nd night rate for $289.00! The package also includes some pretty AWESOME perks like ice-skating tickets or trolley tours (your choice), and hot chocolate from the hotel restaurant Brasserie Jo! To read more details about this offer, click here! There's no better way to spend the day with your kiddos, than by escaping the city for a few hours to become one with nature! The 30-minute drive to Drumlin Farm in Lincoln is absolutely stunning. Instead of your typical view of taxi cabs and sky-high buildings, you'll see green rolling hills and smell the fresh summer air. Pack a lunch for a picnic and make sure to bring along a basket so you can load up on fresh produce from the farm! I'm not sure who was more excited for the hayride ... myself or my daughter, but either way - we had a blast! London was mesmerized by the giant tractor wheels and the booming sound of the engine. The hayrides start at the main entrance (the Red Barn) and travel around the farmyard. The price is just $2/adult and $1/child (cash only). The farm offers fresh produce for purchase, which I thought was such a treat! My daughter was really into the bright, colorful vegetables and of course wanted to touch and taste test everything she saw! You can score some farm fresh eggs, maple syrup, goats milk soap and even yarn or fleece as well! The Learning Garden is a really neat opportunity for your kids to get their hands dirty! It was so fun to show Lo where everything grows and let her smell the oregano, mint, basil and more! Visit on a weekday, if possible ... just don't forget - the farm is CLOSED on Mondays! Drumlin Farm provides complimentary strollers for your little ones! Talk about a sweet deal! It's that time of year for TICKS. Make sure you check your little one over when you get home! Happy 1/2 Birthday to Style Grace + Lace! Six months ago today, I launched my lifestyle, fashion, and motherhood blog in search of a new hobby and a way to express some creativity. Of course, I have a love for writing, which seems should be a given when you're a "blogger," but for me, starting this blog was almost a cathartic release. 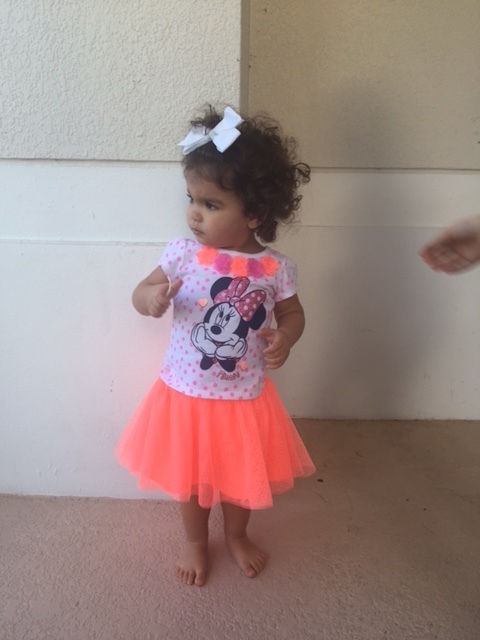 I was a new(ish) stay-at-home mom to an 8-month old baby girl, struggling to find an outlet. I was sitting on my couch in early February; London was napping her first (of three) naps for the day, and I was basically binge watching Teen Mom OG (don't judge!). I remember feeling really down and kind of (for lack of a better word) defeated. I cherished the quality time that I got with Lo and we had established our own little routine, but I found myself worn out from the monotony of everyday life. I knew I needed to get out of the funk I was in + use what down time I did have to do something positive and productive. In many ways, this little space on the internet saved me. 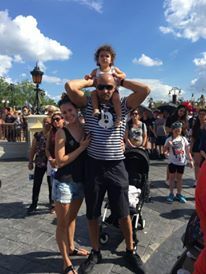 I am able to express my love for style, fashion, travel and fitness all while sharing my journey and joy in being a mom. My passion for writing is stronger than ever, and I can honestly say that it has made me happier and in turn, a better wife + mom. The beauty of this whole blogging world is that there's SO much to learn and while I'm still learning everyday, SGL continues to provide me with some pretty cool opportunities and has allowed me to meet and collaborate with incredible people. Five Horses Tavern. I don't know what makes this place the restaurant of choice with your kiddos...the beer selection (40 varieties on tap) or the fact that you can roll your stroller right in off the street. You'll find that this American pub has easy stroller access, high chairs for your use, and a full menu with lots of choices for your little ones. Did I mention the bathrooms have changing tables?! MAJOR BONUS! CouCou pronounced "koo-koo") is every parents dream! It's located in the heart of the South End and includes everything from clothing and toys to home decor and stationary. What makes CouCou so wonderful, is that they also have a "playroom" for children to play with amazing toys and read books. They offer scheduled classes such as kids yoga, craft-making and art. Another spot that I cannot wait to check out is Kodomo Boston. 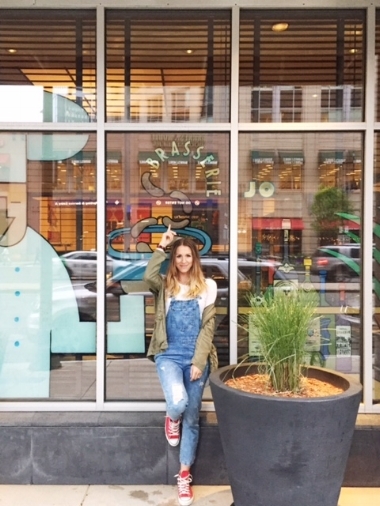 This playful and stylish children's boutique is opening at the beginning of August on Tremont Street. The SoWa Farmer's Market on Sundays is one of my favorite places to go. 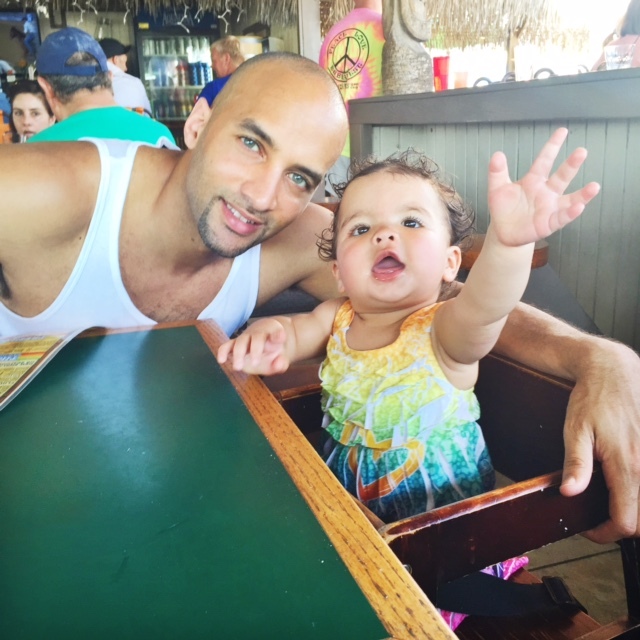 I love to show my daughter the fruits and vegetables and she loves to watch the vendors and shoppers bustling about! When she gets a bit older, it will be a great place to teach her about where food comes from and the importance of nutrition and healthy eating. I always love visiting parks in the city and seeking refuge in nature on hot summer days. Peters Park in the South End is a beautiful place to take your kids with gardens, basketballs courts, baseball fields and a great playground for your kids to enjoy. Titus Sparrow Park Summer Concert Series is a children's concert that happens every Tuesday at 10am in the summer months. It is free to attend and a great way to let your kiddos burn off some energy by dancing to live music! Another added bonus...Whole Foods provides the snacks! London and I ventured to Pine Point Beach in southern Maine last week, and it was absolutely gorgeous! There's no place like Maine in the summertime. Truly, it's magical. The beach was pretty packed, which I didn't mind since there were lots of kids for London to watch ;) This little fishy absolutely loves the water and is FEARLESS. She will crawl head first into a wave and cry when I pick her up so she doesn't drown! We had an awesome day, but by the end of it, I was one tired mama. London's cute towel is from Pottery Barn and I've linked some other adorable ones! I've also linked a few swimmy diapers as well, if you scroll to the bottom of the post - you can shop there! Below you'll find some tips for taking your little(s) to the beach! Enjoy! 1. Invest in an "easy to set-up" beach tent. We scored this LL Bean tent that I used for the first time last week, and it is AH-MAZING. I was solo with Lo, and it took me all of 2 minutes to set up and break down. Major win for this mommy! 2. Snacks, snacks ... and more snacks. Did I mention snacks? If you think you've packed enough, pack more. Of course, none of said snacks will be for you, because you'll never have time to sit, relax and actually eat something - but your kids will thank you. Quick + easy snacks like cut up fruit, crackers, PB + J bites, sliced cucumbers and watermelon are all good options! 5. If you have a baby wearing swim diapers, BRING EXTRA. If your babe is out of diapers, BRING EXTRA CLOTHES. Lo wears the baby diapers of course, and while at the beach, nature called (specifically #2), and thankfully I had an extra diaper on hand for a quick change. Otherwise, she would have been "nakey baby" for the rest of the day and I would have gotten lots of "judgey" looks from other parents. I will start with the airplane experience. A lot of parents may want to punch me right in the face when I say this, but we had an amazing time with London on the plane. It was actually super fun! She was hamming it up; smiling + waving at all of the other passengers, banging on the window, jumping up and down on the seats .. it was hysterical. Don't get me wrong, we were pumping her full of cheerios, puffs, and fruit pouches as needed, but she was generally happy the entire time! *Highly recommend packing LOTS of snacks when traveling with your little one* We attempted to align our flight time with her morning nap, thinking she would drink her bottle and pass right out. (*I would recommend timing these as best you can! *) Don't underestimate the power of insane over-stimulation! The LAST thing she wanted to do was sleep. There was too much going on + she didn't want to miss a thing. Thankfully, for our sake, she did slow down toward the end and fell asleep for the last 40 minutes or so! *We gave her a bottle on take off to help with her ears, and I think it worked! She didn't seem affected by the altitude at all. * Another thing that I suggest is to *pick up a few new toys and maybe a new book or two. Don't give them to him/her until you're in the air. The "newness" (is that a word?) should buy you a few minutes of sanity! * Overall, our first time flying experience with a baby under one was a success. We had so much fun + can't wait to fly again! Now for Manasota Key. What a place! We had never heard of it prior to our family friends getting a home there. They were so generous to offer us their place to stay, and we thought it would be perfect for our little family trip...and it was! Manasota Key is about an hour and a half south of Tampa + super accessible/easy to get too. The people are incredibly friendly, welcoming, and everyone seems to be on "island time" a.k.a. moving nice and slow! The water is a beautiful turquoise color, and the beach expands farther than the eye can see, giving everyone plenty of space to relax. A few staple restaurants like the "Lock n Key" and "Flounders" have live music almost every night and yummy frozen drinks to enjoy! We were able to eat out a few times + London was captivated by the music. She was an absolute angel and let us enjoy our food + even some Mommy/Daddy conversation while she watched the performers intently. We loved venturing down to the beach in the afternoons, when the sun wasn't as hot. London was a little apprehensive about the sand at first, but after a few minutes, she was covered in it :) She also loved the water and the waves! Our little love started clapping during our vacation, which is just about the cutest thing I've ever seen. So fun watching her discover where her hands are and that they can actually make noise! Ha! Who knew?! We could not have asked for a more perfect time together as a family. We can't wait to travel together again + continue to make more amazing memories! There's nothing more beautiful than Boston in the summertime. The city is so charming with its dreamy cafes, blooming flowers, and lines of row houses down cobblestone streets. I fall more and more in love with it every day! Beacon Hill, a neighborhood in Boston, is just absolutely stunning. If you plan to travel to Boston, please take a stroll through. You won't be disappointed. A few eateries to hit are Tatte Bakery for delicious coffee and pastries, Deluca's Market for cheese, wine and fresh produce, and The Paramount which is a casual bistro staple in Beacon Hill! Last weekend, the hubby and I took advantage of my parents' babysitting services and snuck out for a little fro-yo date night at Sweet Frog! This photo makes me giggle because seriously - is there even any ice-cream in there? Clearly we went a little overboard with the toppings, but it's so hard to choose just one! Anyone that has been to Sweet Frog, knows they have quite the selection! I went with a peanut butter/chocolate fro-yo combo topped with (wait for it...) Reese's peanut butter cups, oreos, brownies, and NUTELLA! Even though it looks like I completely drowned it all in nutella, I still wish I had put more on ;) Chris went with mint fro-yo and his toppings were: oreos, snickers, brownie, cookie dough, and chocolate sauce!